It’s been hot times a billion down here in the Garden state over the last few weeks. We’ve had temps in the high thirties – and beyond – for days at a time which for us here at Shenanigans Central equals excellent line drying conditions, swimming at various public and hospitable friends’ pools, the occasional movie marathon or a visit to the local shopping centre for some much needed air con respite. 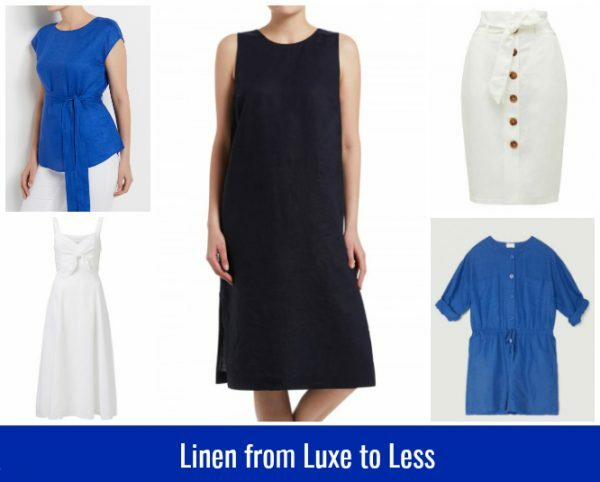 One of the things that’s kept me sane lately – besides an endless supply of Zooper Doopers – is reaching for clothing made from natural fibres – such as linen, linen/cotton blends and cotton frocks. I might be boiling hot but my clothes aren’t making things worse! 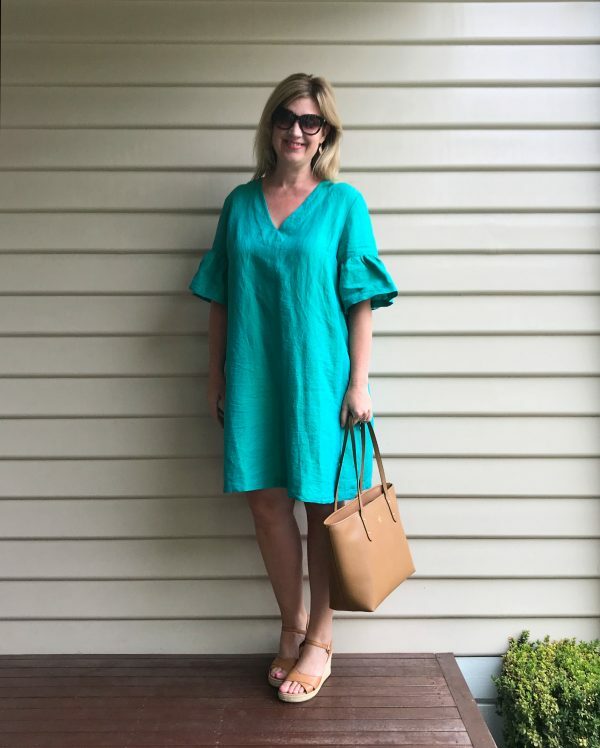 Here’s my latest find – the gorgeous jade linen/cotton blend Vera dress from Gorman. 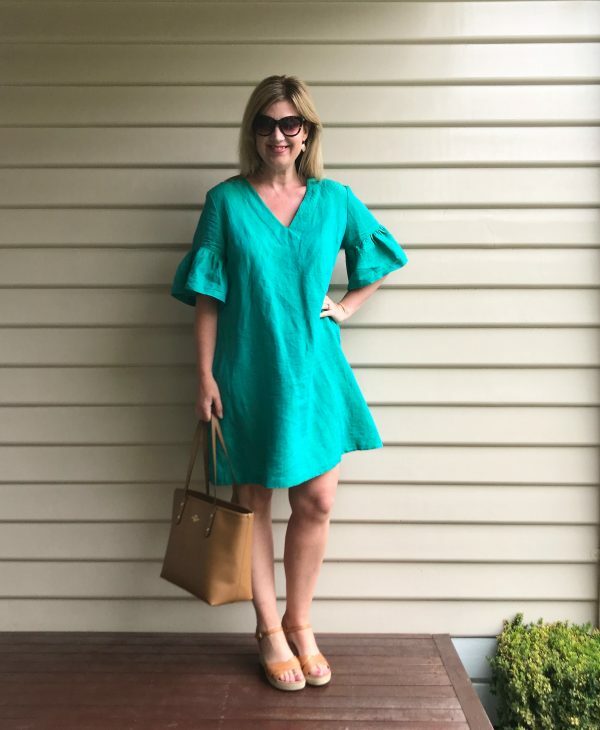 Wearing Vera dress, $159.20 from Gorman; Evelyn earrings from Nicole Fendel*; and ALYCE wedges, $219.95 from FRANKiE4 Footwear. I don’t worry too much about the natural creasing of linen these days too, figuring that just adds texture and interest. I’ve collected some great linen pieces over the years – including my latest addition above – but I’m always looking to fill any gaps. Fortunately, nearly all retailers stock linen, especially at this time of year, so there is something for every price point. Target have a great range too, although there are slim pickings available on line. Check in store and you might have more luck. Also check out the budget friendly range at Suzanne Grae here. The pieces I’ve included below are all currently available in a range of sizes – if not all sizes – online and are mostly in the mid range price bracket. 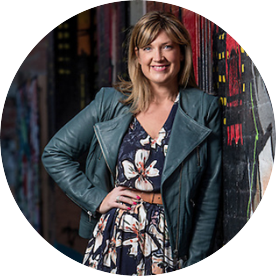 You might also nab a discount if you take advantage of some of the Spend and Save promotions currently on too. 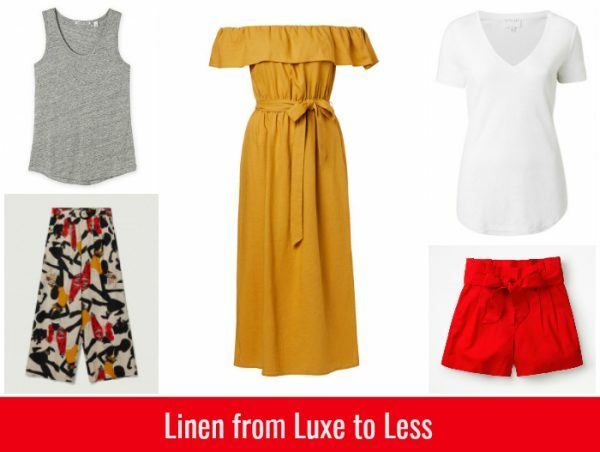 So if you’re in the market for a linen dress, top or bottoms, check out these wardrobe winners. Which one is your pick? Sketchbook Pants, $229 from Gorman. Elsa Linen Blend Pencil Skirt, $79.99 from Forever New. Linen Bow Dress, $179.95 from Witchery. * Thanks Nicole Fendel for kindly gifting me these beautiful earrings. So which of the above takes your fancy?